Three men, including two from North Shields, have been jailed over the theft of transit vans worth more than half-a-million pounds across the North East. 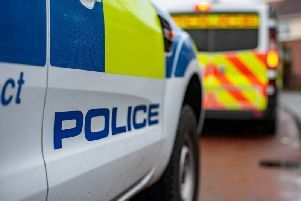 The sentencing follows Operation Defiant, a two-year-long investigation into theft of motor vehicles throughout the Northumbria and Durham Police force areas. The investigation includes more than 45 thefts of transit vans with a total loss value in excess of £500,000. The offenders would travel around to identify vehicles which they would later return to steal. Together they would travel to the area in one or two motor vehicles before using specialised equipment to enter the vehicles before overriding the engine. The vehicles would then be stolen and stored in secure units or compounds; eventually being dismantled and sold on as parts. Warrants were carried out in April 2016 and, on Thursday, January 4, at Newcastle Crown Court, three men pleaded guilty of conspiracy to steal motor vehicles. Yesterday (February 23), they were sentenced. The men are: Tony Curtis, 27, of Ripley Avenue, North Shields, who was sentenced to 5 years 1 month. He was also given a serious crime prevention order imposed for five years from his date of release. Stuart Scott, 36, of Horsley Road, Newcastle, who was sentenced to 2 years 9 months. Stephen Oliver, 19, of Ripley Avenue, North Shields, who was sentenced to 1 year 8 months. Significant recoveries, including stolen transit vans, other suspected stolen vehicles, stolen vehicle parts, items used for the thefts and stolen property have been recovered during the investigation. Detective Sergeant Jason Kell, from Northumbria Police, said: “A lot of hard work has gone into this operation and the sentences not only reflect that but go a long way to giving the victims of these crimes some closure. “This is a fantastic example of how we proactively target organised criminal gangs committing offences across our region.